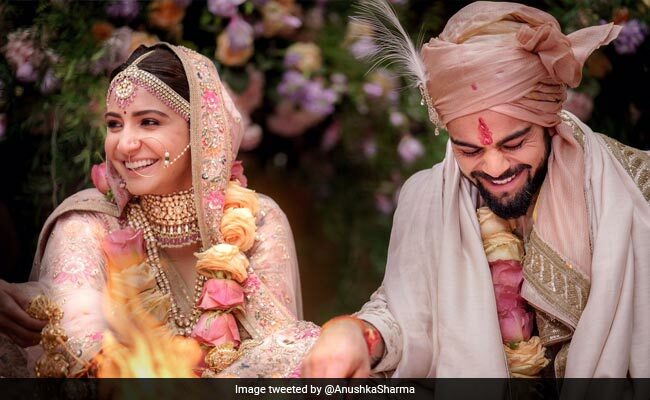 Millions of hearts were broken when India's power couple Virat Kohli and Anushka Sharma decided to tie the knot at a private function amidst close family and friends in Tuscany, Italy on Monday, i.e. December 11, 2017. No doubt, the wedding is considered to be the "Wedding of the Year 2017." Indian fans were waiting to hear the news since long and it came as a surprise as it was a close private affair and only the invited ones were allowed to witness the engagement and wedding ceremony. After their wedding, they both confirmed the news to their fans through a tweet where they mentioned they have promised each other to be bound in love forever and added that this beautiful day will be made more special with the love and support of their family, fans and well-wishers. They have also shared a couple of weddings photographs with their fans through social media. So, here are some of the best moments from the wedding of Virushka (Virat and Anushka). 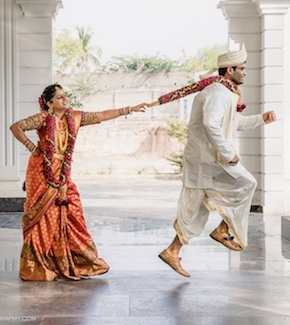 Anushka looked gorgeous in a pale pink lehenga with embroidery in vintage English colours. 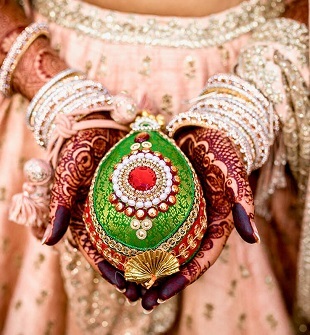 It was embellished with silver-gold metal thread, pearls and beads. Her jewellery was from the Sabyasachi Heritage Jewellery Collection. Our Mr. Consistent, Virat looked smart in an ivory raw silk sherwani with an old rose silk Kota Safa. The wedding took place in a luxury resort Borgo Finocchieto in Italy. 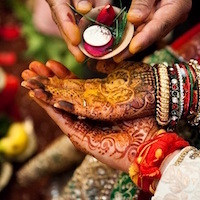 The wedding planning expert Shaadi Squad was appointed by the couple to plan their wedding and make sure that all the arrangements are in place. The photographs suggest that the decor was classy and sophisticated. Virushka is throwing a grand reception on 21st December in New Delhi for relatives and friends followed by a reception in Mumbai on 26th December for industry friends and cricketers. So, as we all were waiting for this moment (Virat and Anushka tie the knot), Wedamor wishes the beautiful Jodi a happy and blissful life ahead and may they enjoy their special moments together hand-in-hand.